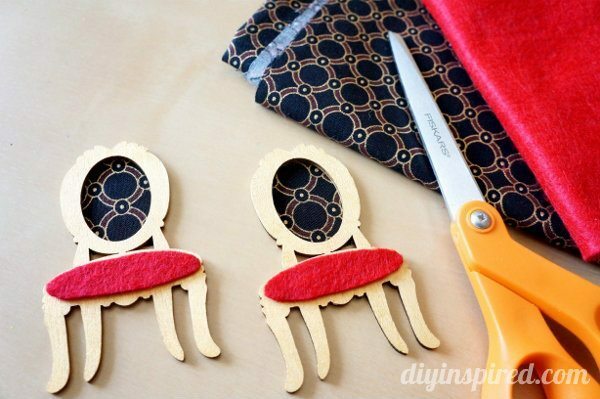 When I made these cute little Mad Hatter Hats the other day for centerpieces for a Mad Hatter Tea Party baby shower I am working on, I couldn’t resist and found these cute little wooden cut-out chairs to use too. 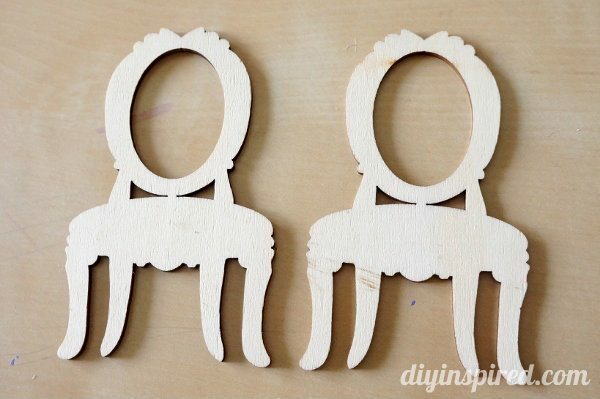 I thought they’d also be fun to place inside apothecary jars to make Mad Hatter Tea Party Chair Centerpieces. 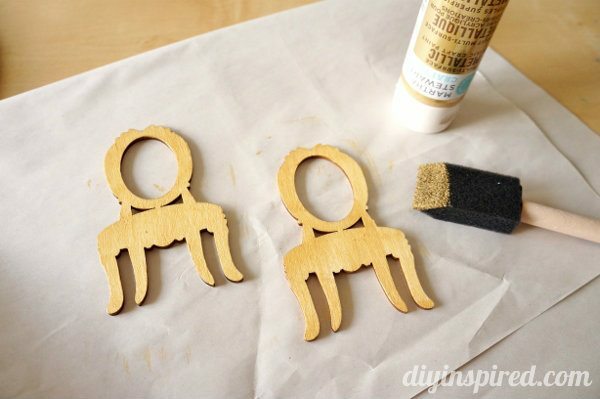 I found these wooden cut-outs and Michael’s Craft Stores. I painted them gold with metallic acrylic craft paint. I had some felt and left over fabric from an antique chair I reupholstered. I cut our a seat cushion out of the red felt and cut out the chair backing out of the left over material. I used white glue to attach them. 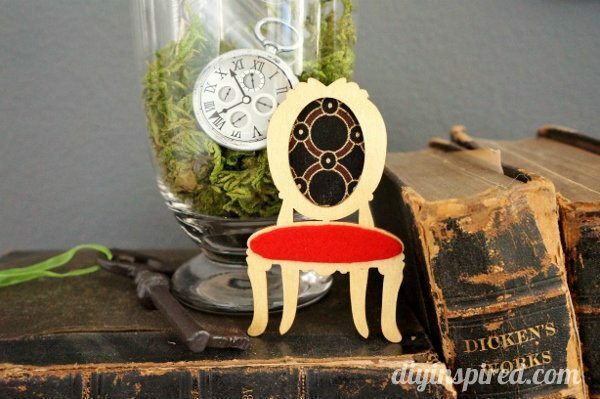 In minutes I had these adorable little chairs that remind me of the chairs at the Mad Hatter Tea party in Alice in Wonderland! 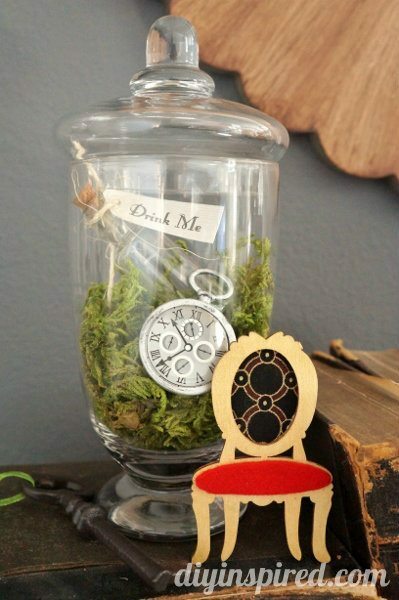 For the baby shower, I will put them next to a glass apothecary jar filled with moss, a “drink me” bottle and a little white rabbit stop watch. I like the idea of stacking them on antique books as well.